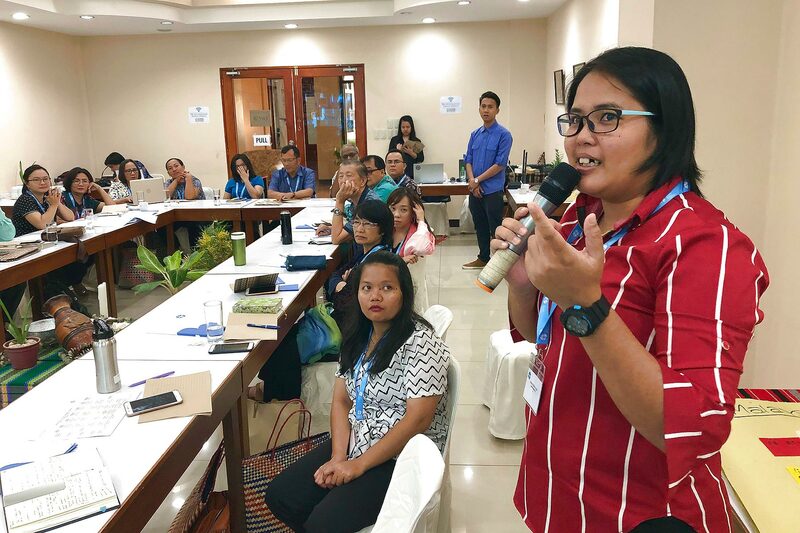 (LWI) - Climate change, economic pressures and the challenges of operating in a minority church context were among the topics of discussion at a recent workshop, hosted by the Lutheran Church in the Philippines (LCP), to enhance capacities for diakonia in the South-East Asian region. 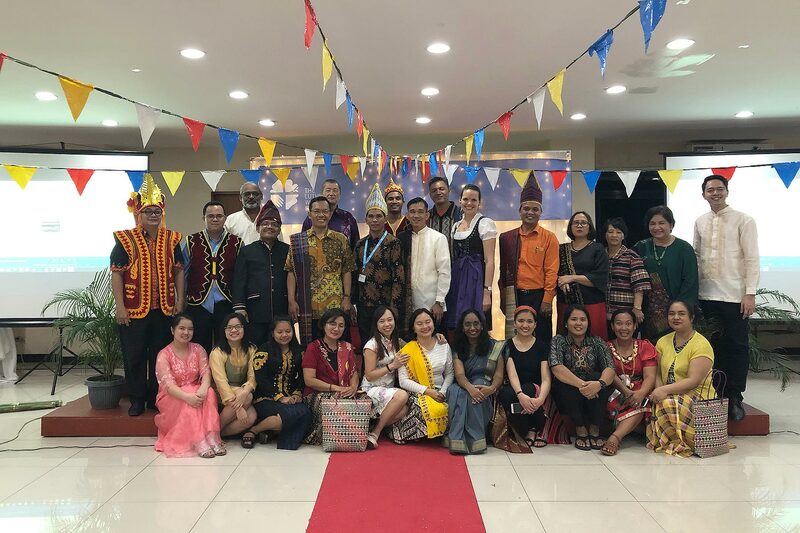 The Lutheran World Federation (LWF) organized the 25-29 March meeting in Manila, bringing together 25 participants from 11 different member churches in Indonesia, Malaysia and the Philippines. They ranged from bishops and heads of diaconal departments to coordinators of projects such as a kindergarten, a youth bureau and an old people’s home. Jenet Mogimbong, diaconal worker from Malaysia, talks about her church’s kindergarten project. The workshop included a visit to a local congregation in Malabon, one of the most densely populated parts of the capital, Metro Manila, where the LCP runs a program targeting the most vulnerable children and their families. Through Bible lessons, regular home visits and food distributions, the church seeks to respond to the spiritual and physical needs of these marginalized people. 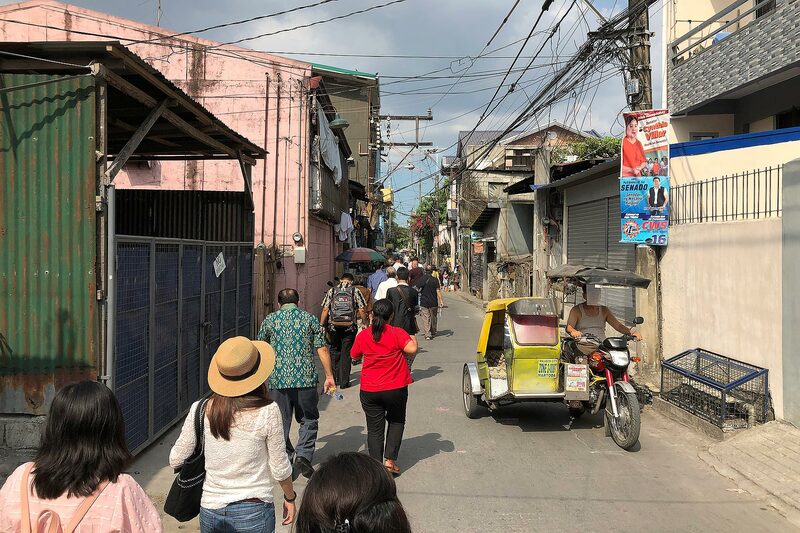 Workshop participants walk through the streets of Malabon on their way to visit the local church’s children program. 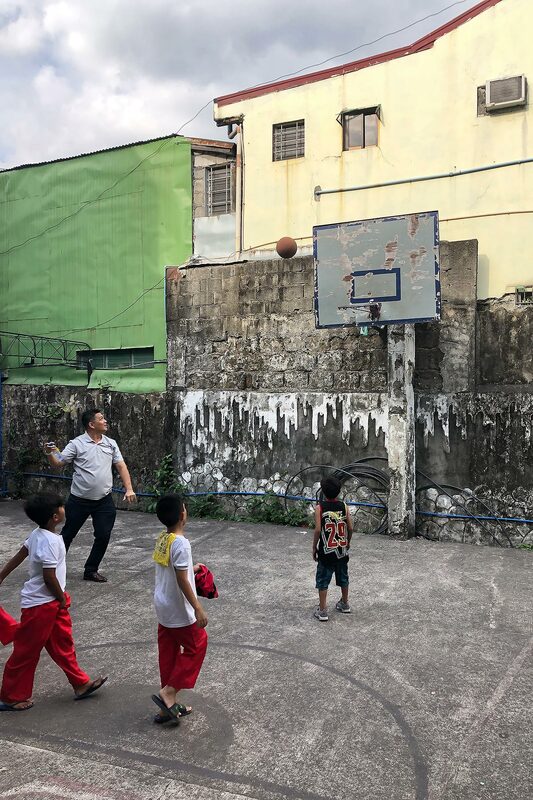 A workshop participant plays basketball with some of the children in Malabon. The aim of the workshop was to support local churches by equipping people with the knowledge and skills to implement their diaconal work more effectively and sustainably. 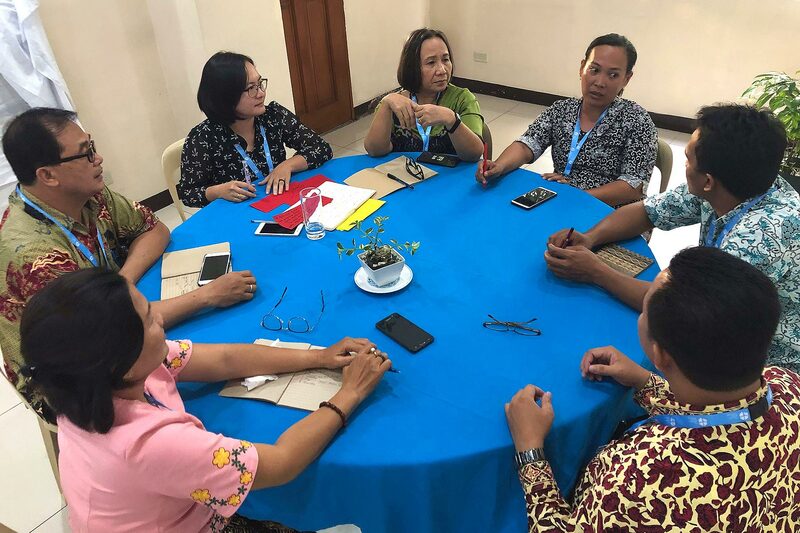 Participants shared internal challenges, such as a lack of staff or financial resources, as well as external factors, such as growing nationalism and extremist attitudes which have led to attacks on some congregations in Indonesia. Church leaders said they were seeking to reach out to Muslim leaders to overcome hostile attitudes in society, but often lack the knowledge and skills for constructive interfaith engagement. Participants at the workshop on enhancing capacities for diakonia in Southeast Asia. Rev. Batara Sihombing, General Secretary of the Indonesian Christian Church (HKI), spoke about the church’s eco-theology project which has been supported by the LWF since 2018. The project includes both theological studies and advocacy, as well as women’s empowerment through vocational training. Women use recycled materials to produce clothing and bags to sell at the market and increase their family income. At the same time, they become ‘environmental activists’, raising awareness about climate change and environmental degradation among their families and neighbors. The destructive effects of climate change in Southeast Asia are a key concern for all the churches in the region, and participants heard dramatic testimonies of recent earthquakes and tsunamis in Indonesia. Workshop participants said they were very inspired by the lively discussions about the role of the church in caring for God’s creation. 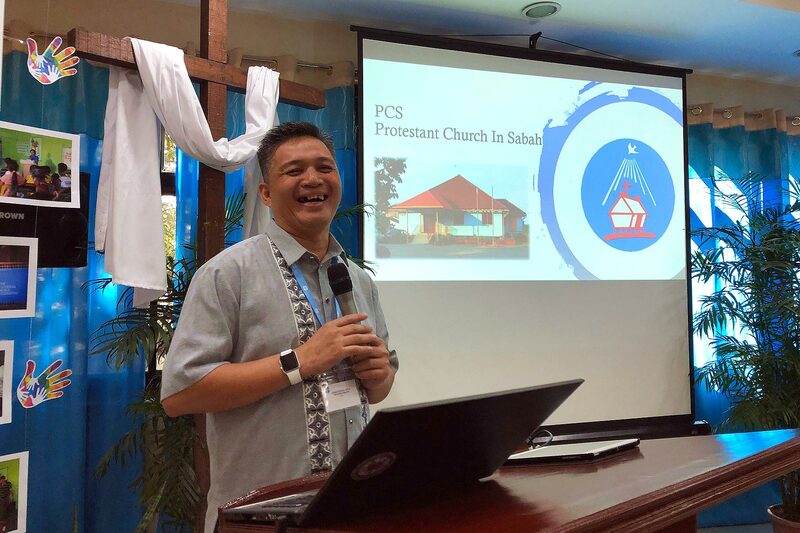 Christopher Ogodong, General Secretary of The Protestant Church in Sabah, Malaysia, gives a presentation about the church’s contextual challenges and diaconal work. Participants discussed ways of planning, managing and financing projects more effectively, including opportunities for local resource mobilization at congregational level. Ms Marina Dölker, LWF Secretary for Diakonia and Development spoke about the opportunities offered by the LWF scholarship program, as well as member church projects, which help to develop both human and institutional capacity. Participants also discussed how to balance the financial opportunities offered by investment in palm oil plantations with ethical questions around deforestation and sustainable environments. “It was great to see how openly churches shared about challenges and ethical dilemmas they face in their context,” Dölker said. “The vivid discussions and mutual learning were eye-opening – not only for participants, but also for me,” she added. Workshop participants during a cultural evening in the Lutheran Center in Manila.